Substance abuse disorders are a serious problem in the United States. So, with substance abuse disorders a clear problem in this country, what treatment options are there for individuals? Put simply, there are many benefits for individuals who seek out this type of non-mainstream treatment. Researchers of the abovementioned study conducting a meta-analysis in order to assess the effectiveness of music therapy throughout the scientific literature. The researchers selected 34 quantitative and six qualitative studies to conduct their study. The researchers conclude: “Previous reviews highlighted the need for more randomized controlled trials (RCTs) regarding long-term outcomes like maintenance of sobriety.” Additionally, they write: “[I]t is important to be aware that music can also trigger relapse (e.g. 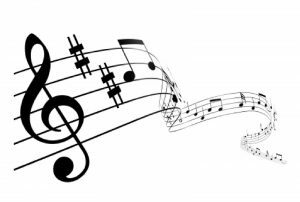 if the music is associated with substance abuse), and that, therefore, music has to be used with great care in SUD patients.” Finally, although it appears there are benefits to music therapy, those who seek out such treatment must do so by professional music therapists. That said, however, music in general is a powerful emotional and psychological tool that – generally speaking – tends to have an impact on listeners. Although this is true, whether or not music therapy remains a good intervention for substance abuse disorders is still being looked at in detail by researchers.